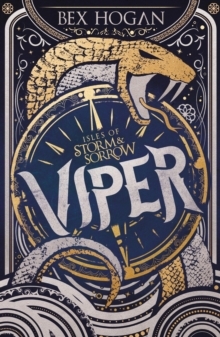 Marianne has been training to be the Viper for her entire life - to serve and protect the King and the citizens of The Twelve Isles - but to become the Viper and protect the islands she loves she must find the strength to defeat her father. A new fantasy trilogy perfect for fans of Sarah J Maas. He will make me a killer. Or he will have me killed. That is my destiny. Seventeen-year-old Marianne is fated to one day become the Viper, defender of the Twelve Isles. But the reigning Viper stands in her way. Corrupt and merciless, he prowls the seas in his warship, killing with impunity, leaving only pain and suffering in his wake. He's the most dangerous man on the ocean . . . and he is Marianne's father. She was born to protect the islands. But can she fight for them if it means losing her family, her home, the boy she loves - and perhaps even her life?A brave heroine. An impossible dilemma. An epic new fantasy trilogy set on the high seas.